Come to the Puumala archipelago to enjoy a stress-free summer’s day on Lake Saimaa. History, cultural experiences, inland cruises, delicious local food, tales of the archipelago… a feast for the senses. Arrive at Okkola, Niinisaari island. Farmwife’s traditional lunch – local food at its best. Over lunch, the farmwife will tell you more about the farm and the tales of the island’s colourful history and how people got by on an island that could only be reached by boat. The next stop is neighbouring Hanhiniitty farm, where the local village blacksmith will present the traditional work of the smithy. 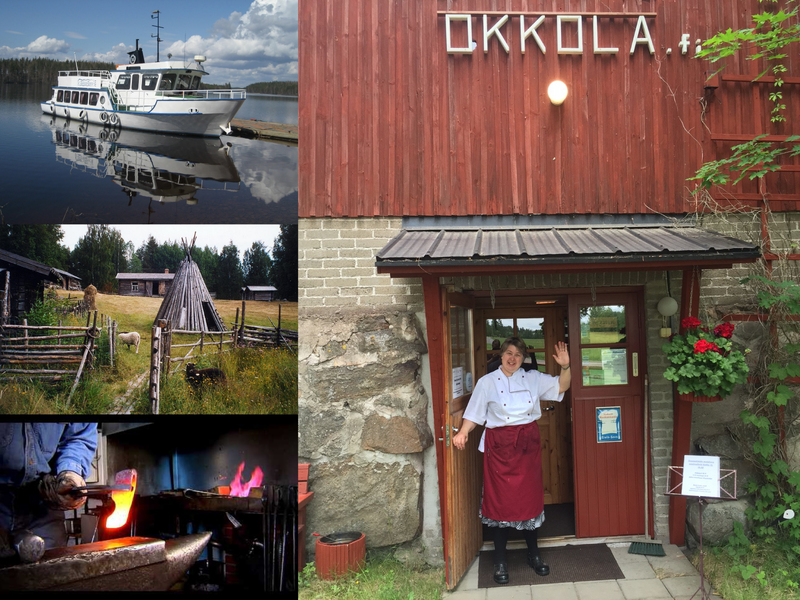 You’ll also hear more of Finnish way of life and countryside family business. M/S Kaunis Veera will be waiting at the pier to set sail on a cruise (1 hour 30 minutes) on Lake Saimaa to Sahanlahti. Arrive at Sahanlahti, an idyllic former sawmill. After an afternoon coffee a guided drama tour will introduce the eventful history of Sahanlahti, where the founder of Kalevala Jewelry, Elsa Heporauta, was born. Tour will take about 30-40 minutes. from 48 € – 61 € / person. The price depends on the size of the group. The price includes all presentations as stated in the program, lunch in Niinipuu, the cruise from Niinisaari island to Sahanlahti and an afternoon coffee in Sahanlahti.